Villa Treves is characterised by an articulated layout. 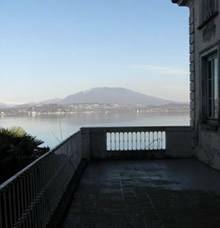 One of the oldest villas in Belgirate, it majestically rises halfway up the hill behind the lake, offering a marvellous view on the Lombard shore and in particular, the Santa Caterina del Sasso hermitage. In order to mitigate the severe slope it was built on, a sumptuous terraced garden was created, which can be accessed from a symmetrical flight of steps. 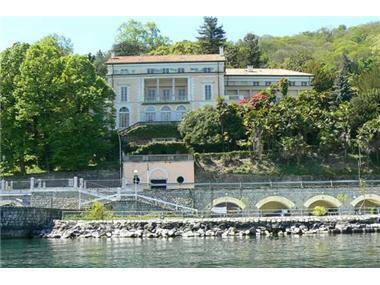 The villa was built in 1780 by the historic Beretta family from Belgirate, who later sold it to Domenico Pino (1760-1826). This man, who was born into a wealthy family of merchants, was an Italian general who served Napoleon Bonaparte in his Grande Armée as a division general. Then the house was first sold to the counts Fontana from Milan and then to the Biscaretti family from Ruffia until 1892, when the building was purchased by Milanese publisher Emilio Treves. Since then, it has been known as Villa Maria to pay homage to his daughter. Thanks to the publisher’s magnetising personality, the villa soon became the ideal meeting place for the intellectuals of the time: back then, one could meet famous authors in the rooms the likes of Arrigo Boito, Gabriele D’Annunzio, Edmondo De Amicis and Giovanni Verga. 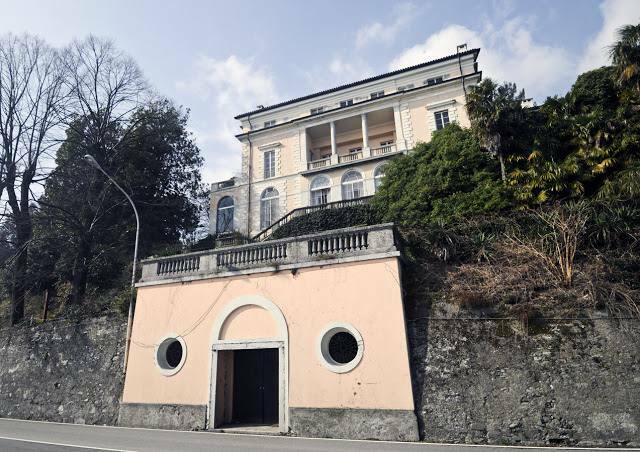 After the death of Treves, the villa was passed down to his granddaughter and after several vicissitudes, became – and still is - a modern Convention Centre for Hotel Villa Carlotta. The villa’s façade has an architraved loggia and porticoed-panoramic viewpoint now enclosed by windows. The various renovations over the years substantially haven’t changed the façade’s structure, however modifications to the buildings to the north are more obvious. This is where a building was added with a neo-classical colonnade. 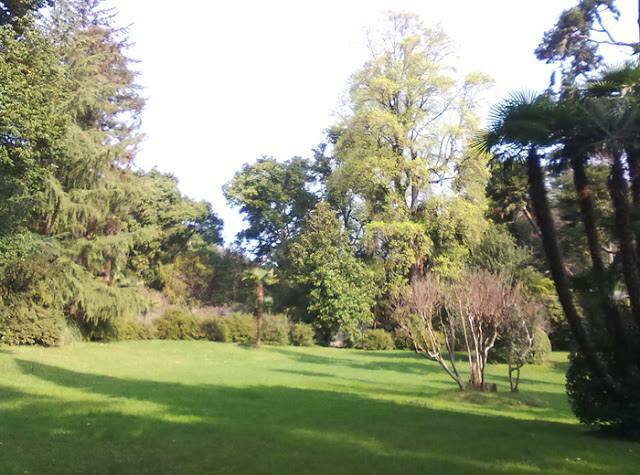 The villa is surrounded by a luxuriant English park (the same as the one at Villa Fontana as they were once a single property) extending over 24,000 m2 with numerous rare species kept in excellent condition, including: sequoias, camphors, monkey puzzle trees, Magnolia grandiflora and a large palm tree probably planted in the 18th century.